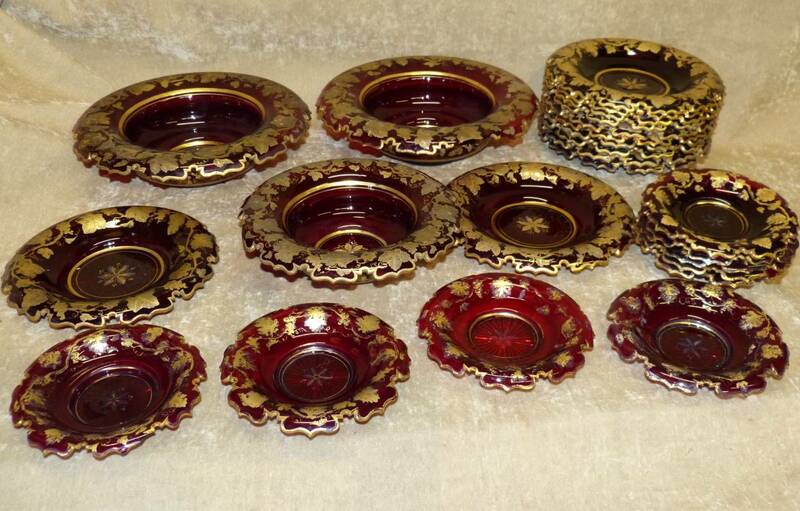 A large collection of Victorian ruby glass took centre stage at the March auction. Eighty-two pieces in all divided into ten lots. Three of the lots made our Top Twenty of the auction. Most items were decorated with gilt fruit and vines. Each of the lots sold at or over estimate. 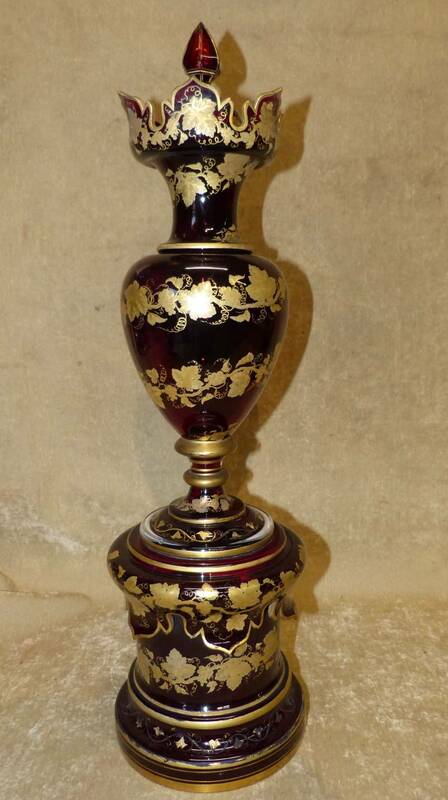 Lot 96 was a 66cm high trumpet vase with a bulbous base and lidded top. It was decorated with gilt grapes and vines. It sold for Â£1400. Lot 95 selling for Â£1200 was a fruit service of twenty-four pieces. 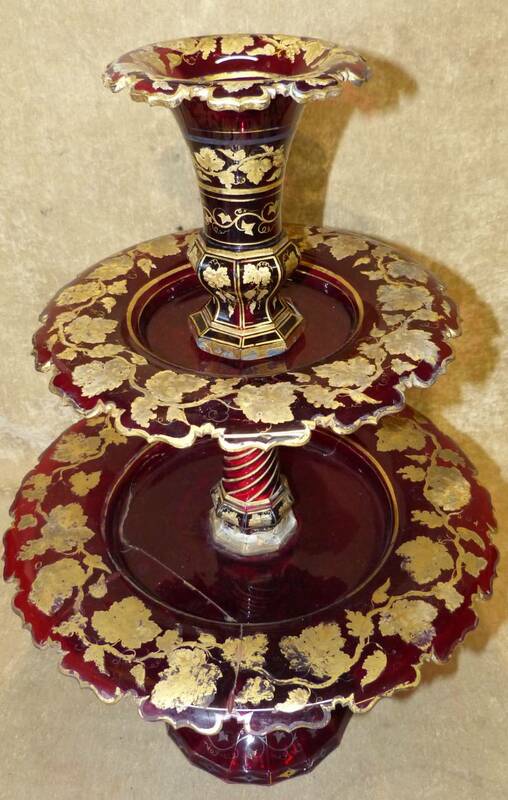 The crack in the base of Lot 97 did not stop the bidding for the scalloped-shaped, two tier centrepiece. It sold for Â£420. 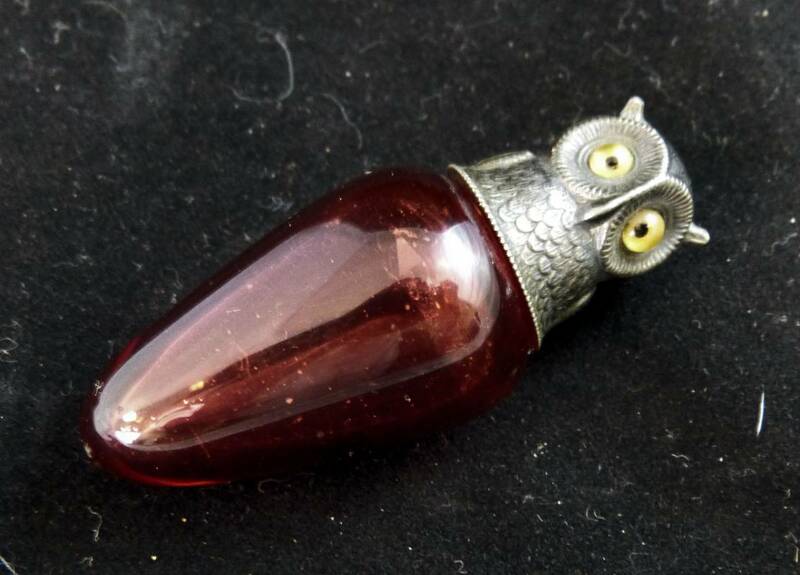 Not in the Top Twenty but garnering a lot of attention was a charming ruby glass scent bottle with a topper shaped like an owl`s head. This sold for Â£295.